Lightweight Folding Wheelchairs are continuing to grow in popularity thanks to a simple yet sturdy and functional design, and TiLite is helping to push for innovation. Folding wheelchairs make for good portable options that increase your mobility. Sportaid has a comprehensive range of easy to transport mobility solutions from reputable brands. TiLite is a functional and affordable way to travel light with Lightweight Folding Wheelchairs. These lightweight folding wheelchairs are easy to lift, carry, and take in and out of the vehicles. TiLite Lightweight Folding Wheelchairs are very flexible and save you from asking help from others in certain situations. The lightweight folding wheelchairs are collapsible and fit inside your car with ease. Sportaid is among the most trusted online retailers of wheelchairs from international manufacturers. Let the experts help you choose the best Lightweight Wheelchair for you options like the TiLite Aero X Folding Aluminum Wheelchair and more TiLite concepts to live independently with pride. Call the Sportaid product experts for help at 1-800-743-7203. 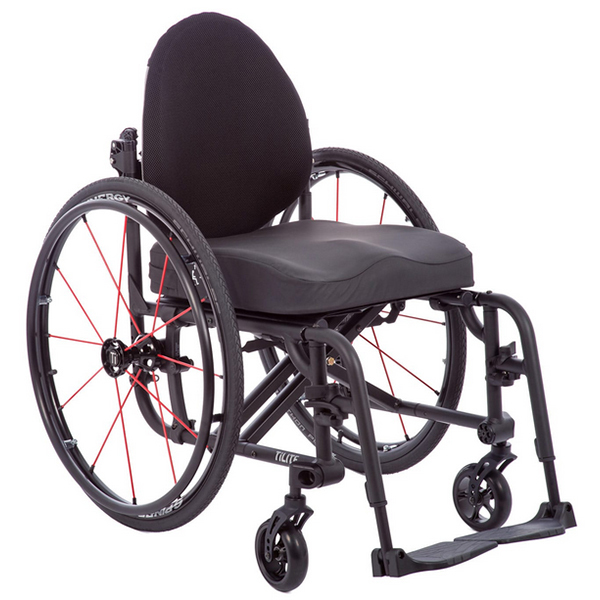 You can receive savings up to 42% on TiLite Lightweight Folding Wheelchairs at Sportaid today! Take advantage of Sportaid's satisfaction guarantee for customers shopping here for the first time or the 100th time. After over 25 years in the business helping people find TiLite Lightweight Folding Wheelchair at the lowest prices, we have always been considered a leader of the industry! This is where you will the most comprehensive selection of wheelchair cushions, wheelchair parts, and wheelchair accessories. We are capable of beating any competitor's advertised price, just call! Our customer service staff has over 50 years of experience, plus over 90 years of combined wheelchair use experience. We look forward to working with you!